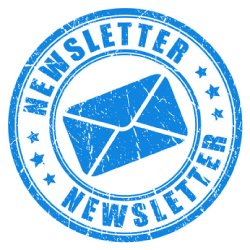 Thank you to Dr. Chi for allowing us to share this information article on Psoriasis and the multitude of challenges that can arise withing this condition. Psoriasis is actually more common than you think. It affects more than 125 million people worldwide. For psoriasis patients, this disease can have emotional consequences, at the least, and severe cases are a major cause of cancer-related mortality as well as other complications.Many doctors believe that, due to its inflammatory nature, psoriasis is a physical manifestation of many systemic diseases, such as cardiovascular disease, liver disease, kidney disease and more. Your nails can actually show early signs of psoriasis, even if there is no flare-up. If you have pitting in the nail as well as scaling (Figure 1), this is a sign of psoriasis. In fact, studies show that 50% of psoriasis and 70% of psoriatic arthritis patients have some form of nail disease ( Edermatology News.com. Feb 2015: 5). In once case, for instance, we see this manifestation. 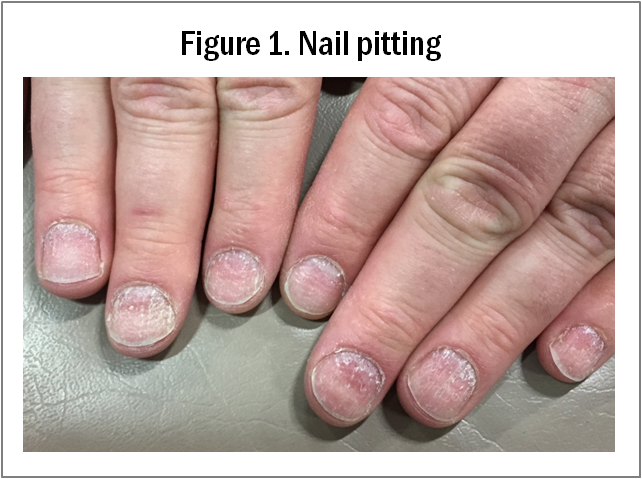 R. Keller, RD, MS from CA, has a 40-year-old male patient who had pitting on all fingernails. She told him of his risk for psoriasis but he did not believe her. About 8 months later, she saw him again and he relates that he had to be hospitalized because of severe psoriasis. Psoriasis is an autoimmune disease characterized by excessive growth of epidermal keratinocytes and increase of inflammatory cells. Skin cells accumulate and form scales and/or itchy, dry patches. Although there is no cure, it is very manageable. Triggers and contributing factors need to be addressed. For example, tumor necrosis factor alpha (TNF alpha) is high in psoriasis, which causes the rashes, inflammation and scaling that are typical of the disease. High estrogen level is also associated with psoriasis. To help reduce the frequency and severity of psoriasis flare-ups, these natural solutions can help address the triggers. PSORICAID or AUTOCIN – Both of these herbal formulas inhibit cytokines which are inflammatory markers expressed in psoriasis which cause the symptoms. Both have been shown to reduce TNF alpha. Either one of these formulas can be used for psoriasis. RELAXIN – Stress can often trigger or exacerbate the symptoms of psoriasis. ANGIOSTOP – For more severe cases of psoriasis, Angiostop can be added. 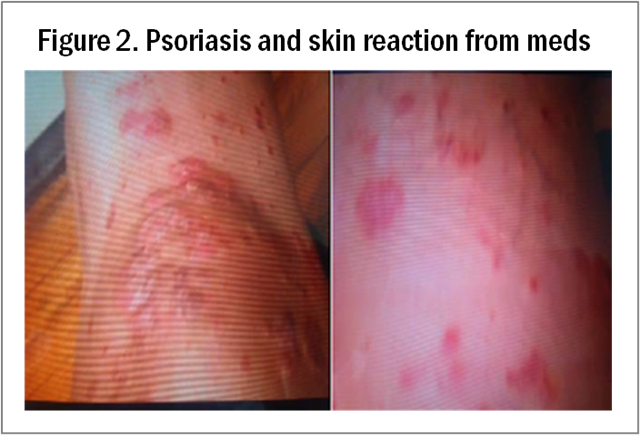 Psoriasis is also characterized by dermal angiogenesis so Angiostop will help block this process. MYOMIN – Many autoimmune conditions are actually tied to estrogen dominance. This is why we see more autoimmune problem among women than men. So adding Myomin will help correct excess estrogen and improve outcomes. Cardiovascular disease (CVD), in particular, is one of the most common complications of psoriasis. In past studies, patients with psoriasis and psoriatic arthritis are about 50% more likely than average to have abnormal lipid levels and ischemic heart disease and about 80% to 90% more likely to have hypertension and diabetes (Supplement to Dermatology News. Nov 2016: 19). Moreover, there is a 17% incidence of CVD in psoriatic arthritis patients aged 30 years and older even with no prior history of heart disease.Psoriasis is, in fact, considered an independent factor of myocardial infarction and is associated with a 4- to 5-fold increase of heart attack or stroke. The underlying common cause is likely inflammation that is triggered in psoriasis which can lead to inflammation in the arterial wall and atherosclerosis (Source: Supplement to Practical Dermatology. May 2016: 9). Patients with severe psoriasis were also nearly 70% more likely to develop abdominal aortic aneurysm. In fact, in people with mild psoriasis, there is a 20% higher incidence of aortic aneurysm. This increased to 67% in severe psoriasis ( Arterioscler Thrombo and Vasc Biol. Apr 14, 2016). To help determine cardiovascular disease risk, look for signs such as an earlobe crease, cherry angiomas on the forehead or lack of lunulae. For more information on cardiovascular disease markers, click here. For improving cardiovascular function and reducing the risk for aortic aneurysms, Vein Lite, OxyPower and Asparagus Extract are recommended. For high cholesterol or triglycerides, add Wine Extract. For hypertension, add Hypertine. Liver function is closely tied with psoriasis. While liver disease does not cause psoriasis, the liver is vulnerable to damage in someone who has psoriasis. Studies have shown that about 50% of psoriasis sufferers also have liver disease, including fatty liver and liver cirrhosis. The liver is responsible for filtering and detoxifying the blood. 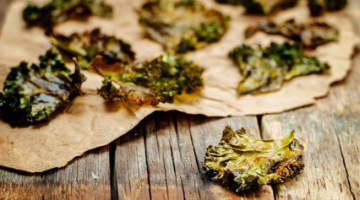 So if it becomes damaged, toxins can accumulate and affect the immune system, which then triggers inflammatory responses that can manifest as psoriasis. So it is also important to improve liver function when you have psoriasis. If you already have poor liver function, you need to be aware of your increased risk for more liver damage due to psoriasis. 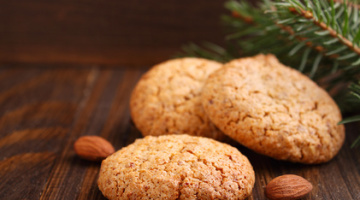 Watch for signs of poor liver function such as fatigue, bloating or bitter taste in the mouth. For more information on liver markers, click here.Liver Chi is excellent for detoxifying the liver and will also help reduce fatty liver, hepatitis and liver cirrhosis. Severe psoriasis is linked to a 5-fold increase in the risk of immunoglobulin A nephropathy (IgAN) and a 2-fold risk of chronic kidney disease. To reduce the risk of kidney disease, Asparagus Extract, Kidney Chi, Bathdetox and Cordyceps Extract are recommended. These formulas can help reduce the damage causes by psoriasis to the kidney’s filtration system and therefore improve kidney function.If you look at the nails and see half-and-half nails (Terry’s nails), this is a sign of an autoimmune-related kidney problem. We see that in the following patient who has psoriasis. L. Mitchell, RN from IL, is a 54 y/o/f with severe psoriasis (Figure 2). She has Terry’s nails (Figure 3). A steroid cream did not have any effect. 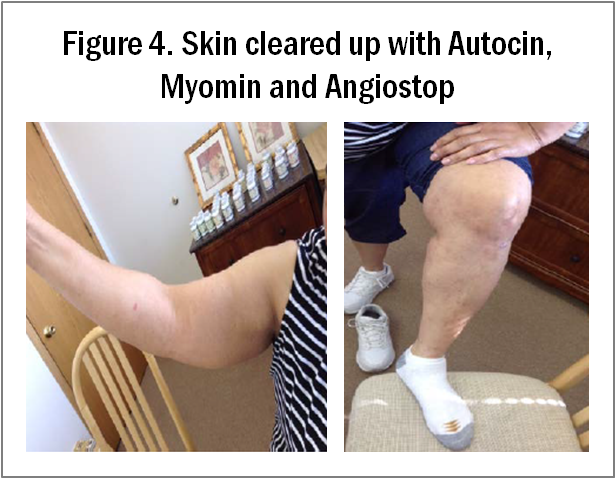 After one week on Autocin, Myomin, and Angiostop, her condition improved and her itching reduced. By the second week her lesions did not break out. After two months, her skin cleared (Figure 4). Three months later her symptoms are under control and she’s still continuing to take the supplements. C. Franco, MD (Sanoviv, Mexico) has a female patient from KY who had a psoriasis flare-up at the bottom of her feet (Figure 5 above) due to stress and had difficulty walking as a result. Her dermatologist said nothing could be done except for steroids or other prescription drugs. She was given Autocin, Myomin, and Relaxin. Within the first week, she noticed an improvement (Figure 6). For the next 2 months her foot was completely clear (Figure 7). 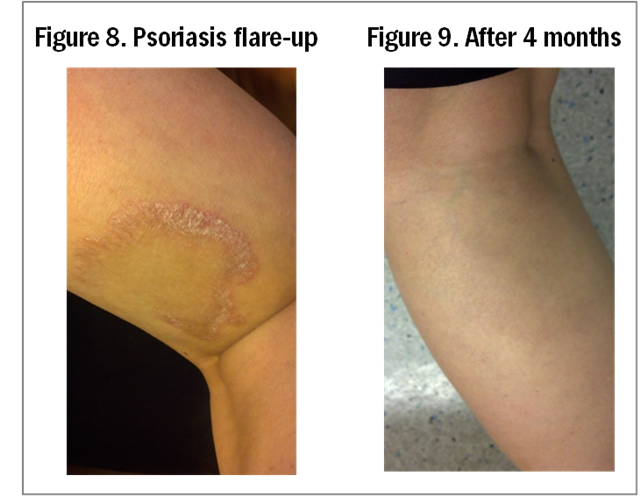 R. W., a female patient in her 20s from CA, has had a psoriasis flare-up on her leg that didn’t resolve despite many treatments she has used (Figure 8). 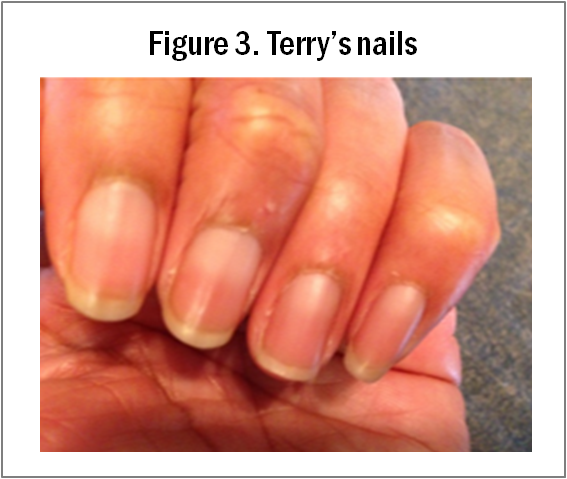 After using Autocin, Angiostop and Relaxin for 4 months, her skin completely cleared (Figure 9). If you still feel psoriasis symptoms despite treatments, check for heavy metal toxicity. Heavy metals like mercury, lead, lithium, phosphorus, titanium, strontium, copper, barium, bismuth, and thorium are known to trigger and exacerbate psoriasis.You can get a blood or hair analysis to check for heavy metals. But looking at your nails and tongue can also give you clues. If you have black- or blue-colored nails, dark blue protruding veins under your tongue or have dark deposits on your gums and you have a metallic taste in the mouth, you most likely have heavy metal toxicity. To remove heavy metals naturally, take Metal Flush. It binds with many types of metal like lead, mercury, copper, aluminum, etc. and removes them from the body safely. In one case, for example, a male patient has severe psoriasis. He later found he had high levels heavy metals, which contributed to the severity. He also has a high stress job, which is another trigger of psoriasis. Metal Flush and Psoricaid were recommended. Psoriasis can be a debilitating disease, with both a physical and an emotional impact on the person suffering from it. It is basically an autoimmune disease with inflammation at its source, so managing it is the main goal for therapy.For psoriasis, Psoricaid or Autocin are the main recommendations to help manage inflammatory markers. For more severe cases, adding Angiostop will be beneficial. Adding Relaxin can also help manage symptoms because stress is often a factor. Since psoriasis and other autoimmune diseases are associated with estrogen dominance, adding Myomin will help address the hormonal aspect of psoriasis. People suffering from psoriasis not only have to deal with the physical/external complications of the disease. They also have to be aware of the increased risk of other diseases such as cardiovascular disease, liver disease or kidney disease. Inflammation, which is the underlying mechanism of psoriasis, is the main factor which can increase this risk and must therefore be addressed. So you need to watch for signs of these other complications of psoriasis. If you also see an earlobe crease, cherry angiomas on the forehead, or lack of lunulae, these are all indicators of cardiovascular disease and may already signal a heart risk in the psoriasis patient. To improve heart function, take Vein Lite, OxyPower and Asparagus Extract. If you see half-and-half nails (Terry’s nails), this indicates that a kidney condition may also be co-existing. To improve kidney function, use Asparagus Extract, Kidney Chi, Bathdetox and Cordyceps Extract. Liver function can be vulnerable to further damage with psoriasis, so take Liver Chi to improve it. If you have heavy metal toxicity, this can induce and worsen psoriasis flareups. Take Metal Flush to remove heavy metals safely. Previous post Five Diabetes Lies!